A food system includes all processes and infrastructure involved in feeding a community. Growing, harvesting, processing, packaging, transporting, marketing, consumption, and disposal. In this workshop we will discuss personal consumption before exploring our local food system through images, text and found objects. The majority of our time will be spend out on the streets and will culminate in a collaboratively designed publication. For three years Mark Menjivar traveled around the country exploring food issues. 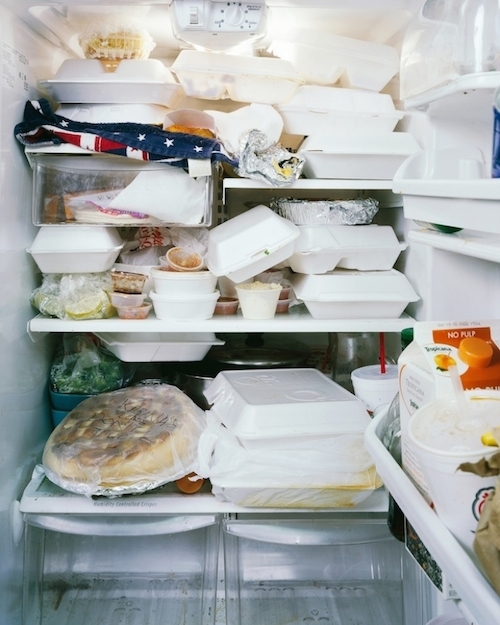 You Are What You Eat is a series of portraits he made of the interiors of refrigerators in homes across the United States over the course of his research.